This special evening includes an intermission with prosecco and a resplendent dessert table. Cole Porter will always be remembered as the songwriter whose melodies are synonymous with the sounds and style of the Jazz Age, seen and heard on the musical theatre stage, and now part of the American Songbook. 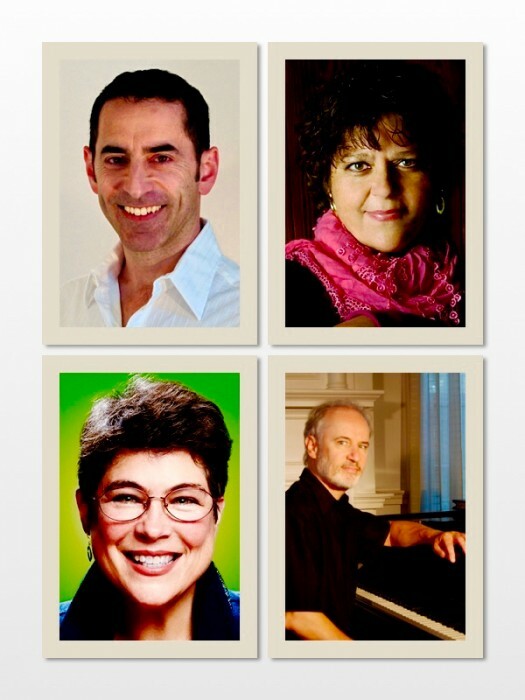 The beautiful voices of Kathy Lawrence, Linda Mironti, Brian De Lorenzo and accompanist Michael Rheault will bring these songs to the stage at the Arts Center. Linda Mironti’s public singing career began in high school when she sang the national anthem every Friday night at the high school football games. After 2 years majoring in music at Onondaga Community College she set off to Manhattan to try her hand at Broadway and the music scene. Brian De Lorenzo,singer, professional actor, recording artist, and Talent America’s 2001 “Performer of the Year” has performed at clubs in New York, Boston, Chicago, San Francisco, and Provincetown, and on cruise ships in Alaska and the Mediterranean. He has also sung at the Mabel Mercer Foundation’s New York and Chicago Cabaret Conventions and three Boston Cabaret Festivals. Brian’s CD Found Treasures was nominated for the 2000 “Recording of the Year” Award by the Manhattan Association of Cabarets and Clubs (MAC). Brian is a proud member of Actors’ Equity Association (AEA), SAG-AFTRA, and StageSource. Kathy Lawrence started musical training at her mother’s side and quickly gravitated to popular music of the 1930s and 40s. At an early age she accompanied fellow singers on the piano, and indulged in her special love for jazz standards, show tunes and torch songs. Kathy’s voice is adaptable to a variety of musical genres, including jazz standards, show tunes, folk and classical music. She is best known to local food enthusiasts as the founder of Just Food in NYC (www.justfood.org), to farm policy wonks as the former Executive Director of the National Campaign for Sustainable Agriculture and to child nutrition advocates as the co-founder of School Food Focus (www.schoolfoodfocus.org).